I have asked a varied group of people to be my taste tasters for these experiments, from tellers and officers where we do our banking, clerks and staff at our local market and library, to some of my husband’s co-workers, as well as friends and family. The results have been surprising! 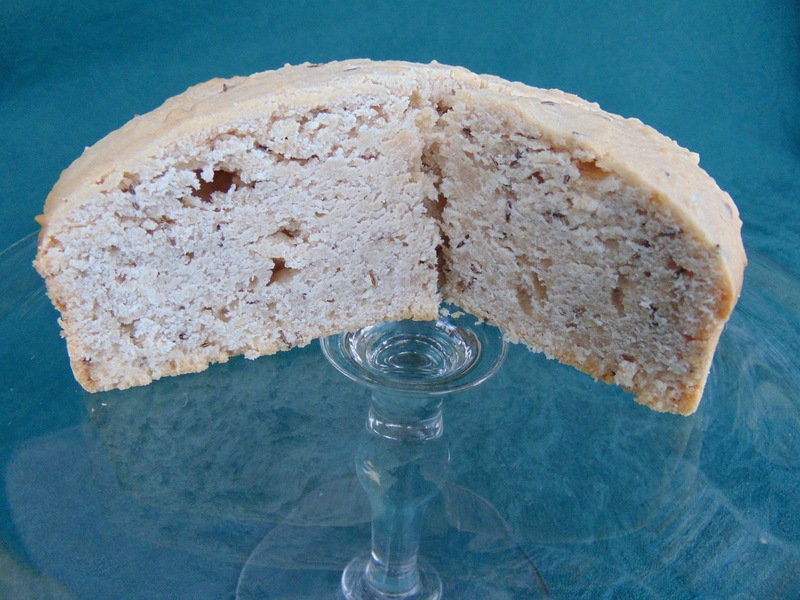 Georgian cakes tend to be much denser than what the average person may be accustomed to eating. One reason is that few rising agents were used. All mixing and beating was done by hand. In a receipt that I just tested (a Biscuit Cake from Elizabeth Moxon), a pound of sifted castor sugar is to be beaten with nine eggs and two spoonfuls of rose water for two hours!! That’s a lot of beating! Elizabeth Moxon’s Biscuit Cake rests on a cooling rack. 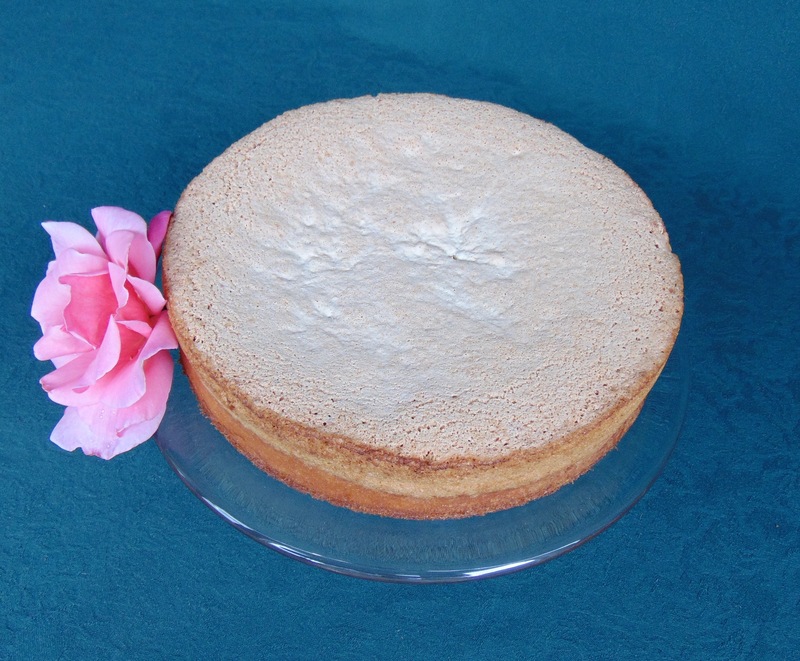 The resulting cake was spongy, with a very stiff upper crust, though not as light as modern cakes. I explained to my testing group that cakes would be denser, with many more unusual spice combinations than they might expect. For the most part, this group has been able to give me useful feedback once they got used to 18th century textures and Georgian expectations of what cakes and small cakes (cookies) should look like. In quite a number of receipts, there is a note that the cake is done just as the edge barely begins to turn light brown. Cakes were preferably white in color, though fully baked. For some testers, this was a bit off-putting. Their thoughts were that the cakes were not done. Great or small, most of the cakes I have tested are off white, with little color. At this time elaborate frosted decoration was rarely used. Instead they formed the cake in molds, or gilded them, or put marchpane (marzipan) or sugar figures on them. It also helped if they were attractively plated to be more interesting. 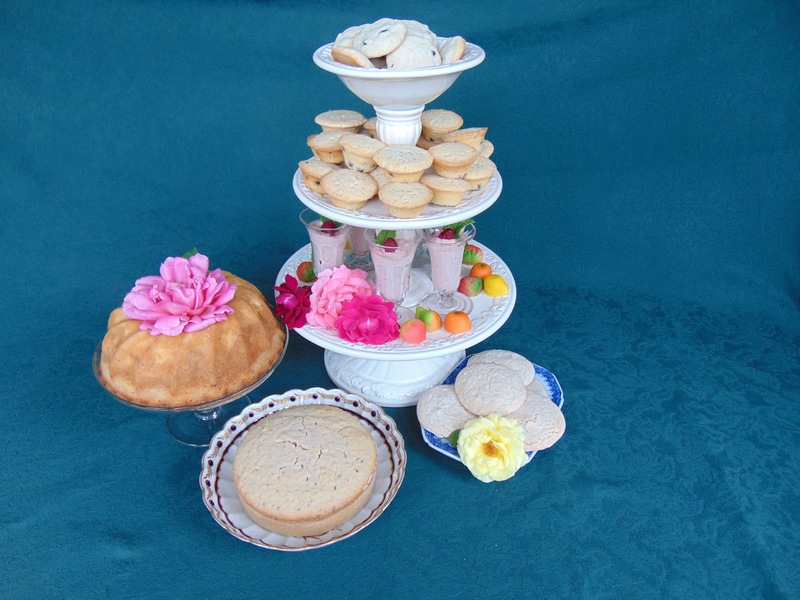 On the three tiered creamware epérgne; the top has small Queen’s Cakes, the second tier has Portugal Cakes, and the bottom tier has Rice Cream in period original jelly glasses set among fresh cut roses and small marchpane fruit. On the left is a Rose and Almond Cake, done in a Turk’s Head mold and set on an 18th Century glass tazza. At the bottom is a small Caraway Cake on an English china plate, and on the right are Sugar Cakes on a period original small blue and white porcelain Chinese export platter. I was intrigued by a receipt entitled “to make a Cream Tart in the Italian fashion to eat cold” from Robert May’s Accomplis’d Cook. I decided to try it. The ingredients were an interesting mix, 20 egg yolks, a pound of fine sugar, 2 quarts cream, saffron, juice of an orange, white wine, rosewater, and cinnamon. we decided to halve the receipt. The pie shell was laid in and slightly pre-baked. I assumed the cream would make it too soggy otherwise. With no hint what size pan or oven temperature, Stephanie, my sidekick, and I forged ahead. The pie pan was filled, the pan set in the oven, only to remember we hadn’t sprinkled the cinnamon on top. The pan was too full to move. There was no room to get the cinnamon jar into the oven, so I filled a tablespoon full and tried to sprinkle. This resulted in some lightly distributed cinnamon and a few large blobs. Oh well, most people like cinnamon. After an hour the tart was still loose. One hour and twenty minutes later, I thought the experiment was a failure and took the tart out. While it rested on the cooling rack, it began to solidify into a proper custard texture. Now on to my taste testers. The results were amazing. All reports were so positive and my testing crew requested more. It worked! In reading my webpage, a visitor noticed that I had written “receipts” instead of “recipes”, so perhaps I need to explain that the word for “recipes” was written and spoken as “receipts”. In the course of researching and writing this blog it is probable that a few other 18th century terms may come to light that today’s reader may not know. I will try to explain as I go along. What is “seered sugar”? 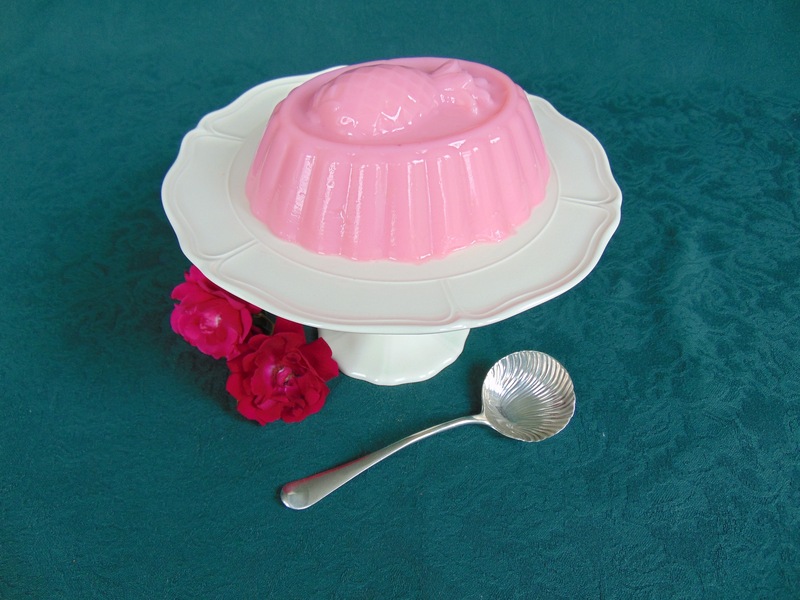 I came across it in a number of 18th century desserts requiring seered sugar, and was stumped. Thanks to two members of the Savory Fare Yahoo Group the term “seered” was explained as “to sift”. Now I can continue testing the receipts for macaroons. Other terms requiring research were “a cool oven” (approximately 200 degrees F or 90 degrees C). A “slow oven” is 300- 325 degrees F. or 150-160 degrees C. A “moderate oven” is from 350-375 degrees F. or 180-190 degrees C. A “hot oven” being 400-450 degrees F. or 200-230 degrees C. A “quick oven” is from 375-400 degrees F. A “very slow” oven is below 300 degrees F. All this leads to a guessing game when trying to recreate recipes. Experience has helped in making the best estimate of how to set a modern oven to approximate either a beehive or hearth oven of the 18th century. Even when a measurement is given, it is a bit vague for today. A spoonful??? Is that a modern Tablespoon or measured from your sturdy wooden mixing spoon? A cup measure was based on an 18th Century teacup- six ounces, not eight like a modern measuring cup. How about “some” or “to taste” as a measure for spices or floral waters like rose and orange flower waters? Again, I am learning. And the experiments and testing continue. Having been disappointed by an earlier experiment in making a Caraway cake, it was time to try again. On the first test, the flavor was given high marks, but the texture (on the gooey side) put off a few of my testers. This time I finally acquired medium size eggs. It made a world of difference in the cake’s texture. Most markets do not carry smaller eggs, but 18th century chickens laid smaller eggs, so the receipts were based on the size of an egg that was not large, extra large, or jumbo. The majority of the recipes I’ve tested have not been as fussy about egg size. The Caraway cake really must be made with an egg no larger than medium. Now taste and texture really do work. The taste of caraway and rose water is a subtle one and surprisingly was highly praised. I truly enjoy experimenting and baking with a purpose, but every now and then something happens and I am forced to do a massive bake without time to stop and smell the roses (literally). My publisher wanted some photos for the upcoming catalogue of books to be released in Spring 2016. For me that meant massive bake in 3 days plus photographing them (how grateful I am for a wonderful husband, that’s you Radford, to help out). For this photo shoot I decided to do some tried and true rose receipts… almond/rose cake, berry fool, Portugal cakes, marchpane, rose pudding, sugar cakes, rose custards, carraway cake, almond cheesecakes, and heart cakes. Stephanie came by on Friday and we had three batters going. Things were truly flying about. Too pink! That was ONE drop of red food coloring. This receipt was from Robert May’s The Accomplished Cook (To make a very good Cream). The taste is light, just a bit sweet with a lovely rose scent and taste. On the first try, the cream came out very white and pale. Since it had to be photographed, I decided to use just one tiny drop of red food coloring (not having the time to beat the female cochineal bugs into a liquid state). Lo and behold…. it became the color of Bazooka Bubble gum!! Perhaps that will teach me not to stray too far from the 18th century methods. Now comes the hardest part, not the three solid days of baking and washing up, but how do you give away all these cakes and puddings??? My poor group of taste testers will be overwhelmed by having to try 10 rose desserts. Luckily for me, living in the Los Angeles area I have access to quite a number of ethnic markets. Spices are abundant, as are currants (a great favorite in 18th century baking). After making the Little Queen Cakes recipe from Hannah Glasse’s The compleat confectioner; or the whole art of confectionery made plain and easy (1762) quite a number of my testers remarked how they had never tried currants and really liked them. Many mentioned that they would love to have a cup of Earl Grey tea and a few of these little cakes, perfect for a light afternoon tea. As for spices I have coriander seed and powder available as well as caraway seed and powder, and cardamon pods, seeds and powder, all complimented by the rose water. Having baked with these spices for a while now, I truly appreciate their subtlety and how they surprise your palate.